Our lovely CD is released by Linn records today! Hear a programme all about Ensemble Meridiana on Sunday 6 march at 1pm on BBC Radio 3! 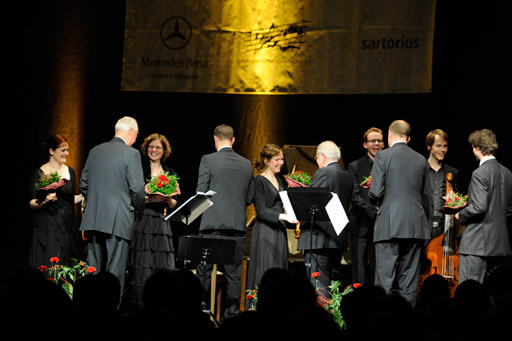 Ensemble Meridiana has won the 1st price in the Göttinger Reihe Historischer Musik competition organised by the Händel Society Göttingen, Germany. This is Meridiana’s third international competition win! Meridiana recorded our first CD with Linn Records in February 2010. Special thanks to the York National Center of Early Music and the recording’s sponsors Fidelio Charitable Trust. NEWS: Meridiana are recording our first CD with Linn Records in February 2010!